My Name is Andy Redhead, by day I am a geeky tech guy that watches paint dry for a living, a father of Three and when time permits, an over keen landscape photographer. I am a Geologist and a Photographer, originally from the UK, but have been living in New Zealand for the past 3 years. My inquisitive nature towards the formation of the landscape combined with my passion for activities in wild places has led me to wanting to capture them in all their moods and splendour. I have been taking photographs for nearly 30 years, tackling most subjects during this time. But for the last 20 years monochrome and landscape photography have remained close companions. Living on the edge of the Dartmoor National Park, is great giving very easy access to some great subject matter. Photography for me regardless of the subject is as much about the process as the finished photograph. The act of concentrating all your senses on the subject and excluding everything else is a great escape from a normally very busy life. These 4 photographs were taken across the last two weeks in July 2015 in the Outer Hebrides and in Skye on our annual family campervan trip. pour) in the Outer Hebrides was a good day. roll of 36 exposures you get 21 Xpan panoramic shots. camera out of the bag in the first place. The Infinity Bridge, located in heart of the cold hinterlands of the north once served as a passing place for the white walkers until the construction of the wall. Now without much purpose the bridge serves as 'right of passage' for any keen, eager, would be photographer. OK so joking aside it was actually built by Balfour Beatty as a crossing between the north and south shores of the River Tees. It is widely photographed on calm nights where images are made of its sublime reflection illuminated by its blue and white LED lighting in the Tees. Wanting to capture something different, and against the laws of landscape photography I donned my 'hat of artistic vision' and I ventured out mid-day. The weather was perfect for what I had envisioned, a subtle mixture of white fluffy cumulus clouds and blue sky. The 10 stopper was finally getting a dust off. The 4 images seen are captured using a Sony A7R with either the 40 or 58mm Voigtlander SL lens coupled with a Mirex Tilt/Shift adaptor. Being in wild places during dramatic weather conditions leads to an emotive connection to a landscape. The light and mood of a location can change and shift within a matter of minutes; as quickly as the magic arrives, it can also disappear. It leaves a mix of emotions, including excitement and happiness; similar to those felt at the end of a great show or music concert. It is natures stage and she can put on an impressive show. I love this about the landscape. The excitement and ‘rush’ of trying to capture the moment, drives my passion for exploring landscapes and being a photographer. My collection of images are from two locations on the planet; both offer some of the most photogenic landscapes on the planet. The Isle of Skye, Scotland and the South Island of New Zealand. This collection of images is about capturing the mood and feel of these locations. Light breaking through the heavy and oppressive skies as storms abated. The processing and presentation of these images is not simply a record of the scene in front of me, but an expression of my emotive connection to it. I love Skye, the West Coast and the Highlands of Scotland and although I now have the Southern Alps on my doorstep, I still miss the annual trips I have been making to the Highlands and Islands for nearly 20 years. It really is a magical part of the world. Although I have not lived in New Zealand for as long as the UK, I have been able to explore in my relatively short time here. I can see that with the similar variety of climatic conditions, and the rate at which they can change, when overlaid on to the rugged and raw topography, that this really is a land of photographic opportunities. Dartmoor 20 is my on going project to photograph the Dartmoor National Park. It came about due to changing personal circumstances, but a strong personal desire to continue landscape photography. The answer was literally on my doorstep. Local photographers are often heard to say that Dartmoor is difficult to photograph. But I believe like any subject, it's not difficult to photograph, it's how the photographer looks at it. Sure, a bit of technical skill and ability helps, but that can be taught. 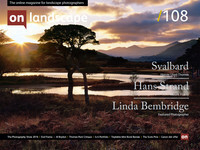 Photographing a landscape is as much about understanding and being inspired by the location as it is about photography. The four images I am presenting to all include water. They are only small parts of a vast expanse, here lies part of the secret to Dartmoor, it's beauty is in the detail, the small rivers, hidden waterfalls and rare valley bottoms. To know Dartmoor you need to visit these places. I am drawn to water, and comparing contrasting textures and light in the landscape. Working in monochrome allows me to pick out the texture of granite the sheen of reflected light on a rock, the contrast between soft flowing water and granite boulders.